Charlotte, N.C. (July 13, 2016) - The first annual US Pro Stock/Super Late Model 200 lap event lured the Bond Suss Windows 10 Racing team to make the trip to Seekonk Speedway in Rhode Island. Although the team faced a completely different style of racetrack and competitors, crew chief and driver were able to adapt to the challenging one-third flat oval. Dalton Sargeant was able to consistently stay around the top of the leaderboard in multiple days of practice which translated into a strong third place qualifying effort. Next the No. 55 Windows 10 Bond Suss Racing Toyota Camry was able to win their heat race and start in the third position in the feature event. Sargeant immediately battled for the lead the rest of the 200 laps, trading it back and forth with several competitors, even leading 29 laps. 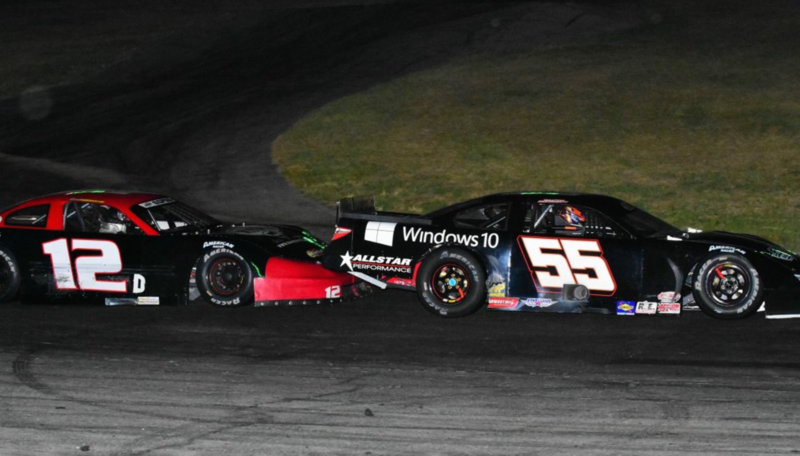 Sargeant was leading on the final restart with five laps remaining but contact with the 2nd place car sent Sargeant spinning in the final corner, relegating him to 5th place finish as he spun across the finish line. "Thats a tough way to finish this race, we had such a great car all weekend and was running 2nd all race long to Joey Pole in the 97 car and inherited the lead when he broke and thought this was our opportunity to win. We did everything we needed to do to win this race but unfortunately the driver in second position made contact with us for a couple laps and really sent me spinning while we were leading on the last lap. It's a big race and paid a good amount but I certainly wouldn't race anyone that way and was hoping other competitors felt the same. Definitely a tough way to lose one, but we'll move on try again."